WHAT: More than 130 undergraduates will present their work at the Undergraduate Research & Creative Achievements Forum. 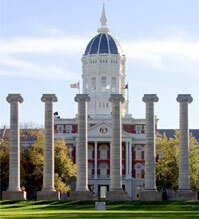 The forum showcases student research and scholarly and creative achievements to the Mizzou community. MU undergraduates from any major and all academic levels are eligible to present their work. In addition to MU students, 50 visiting students from schools such as Truman State University, William Woods University, Princeton University, Columbia University, Vanderbilt University and the University of Western Cape in South Africa also will present their work. Students are supported through funding from the National Science Foundation, the National Institutes of Health and university funds. WHO: Undergraduate students will present their research in a poster session format. Topics include engineering, biomedical sciences, plant sciences, physics, bioinformatics, biochemistry and neurosciences.